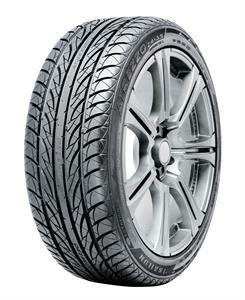 The Z4+AS is an ultra-high performance tyre, designed for uncompromising performance under all weather conditions. Engineered for high-speed performance, cornering, and braking, the Z4+AS lets you get more out of your car. Optimised to deliver a balance between ultra-high performance needs and comfort of everyday driving in all weather conditions. Special silica blends maximise grip and handling stability in dry while maintaining outstanding wear characteristics.